Few people dispute that America’s current energy sources create high levels of pollution that we’re all forced to live with. The vulnerability of traditional power plants, coupled with our reliance on foreign oil to generate electricity, has been enough for many businesses and residents to seek alternate energy options. 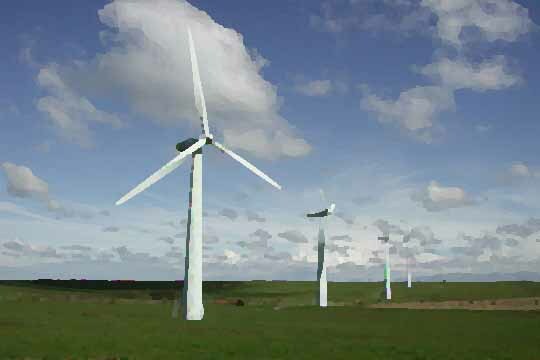 By instead relying on electricity powered by large wind turbines scattered across the country and thereby offsetting electricity that would otherwise come from traditional sources, one is both helping to improve the region’s air quality and stabilize the future price of electricity, all while helping America nudge closer toward energy independence. Based in Baltimore, Maryland, WindCurrent is a business committed to bringing renewable wind-generated energy to the Mid-Atlantic region, providing Renewable Energy Certificates, or Green Tags, to some of America’s largest Green Power buyers. In contrast to large power plants centrally-situated from state to state, their renewable power projects can be distributed across the state and country. Utility companies appreciate this because “it puts the power generation closer to the end-user, which reduces the need for expensive transmission lines” required by the power plants. Their website offers extensive information on how WindCurrent operates, as well as a video that gives an in-depth look at energy sources and how they differ. Clean Currents, based in Rockville, Maryland, is a clean energy broker/ aggregator that also offers low-cost, renewable energy to businesses, homes and institutions. Clean Currents offers clients a new carbon neutral electricity option, “Chesapeake-Green”, or “C-Green”, which combines standard electricity from the Mid-Atlantic grid with Renewable Energy Credits from wind farms situated across the United States. In addition to supplying earth-friendly electricity, Clean Currents also takes great measures to see that their own business is environmentally responsible, purchasing energy-efficient computers, lights and office equipment, and recycling all possible materials. With an attainable source of electricity that creates zero pollution, a decreased reliance on foreign energy, and an increase of jobs in rural areas with high unemployment rates, doesn’t it just make sense?